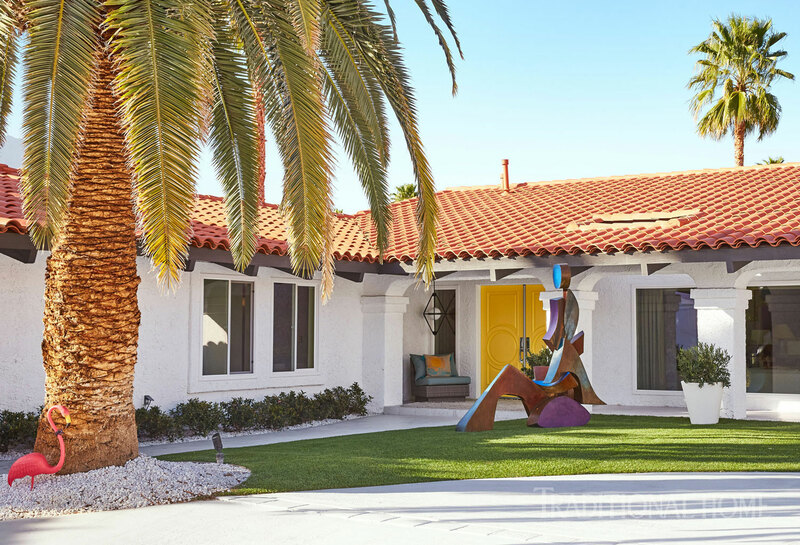 A 6,500 square-foot villa in the Andrea Hills area of Palm Springs and home of social media star Kelly Lee and her husband, Klaus opened their home to more than 20 designers for the 2017 Christopher Kennedy Compound Modernism Week Showhouse. 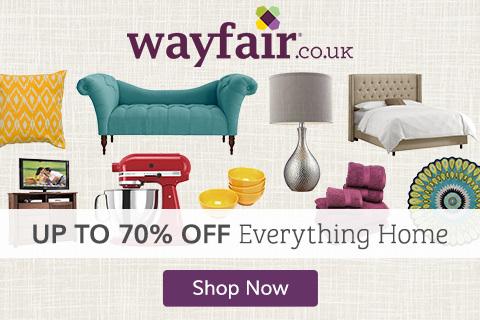 The openly bold and bright interiors display modern design at its best. 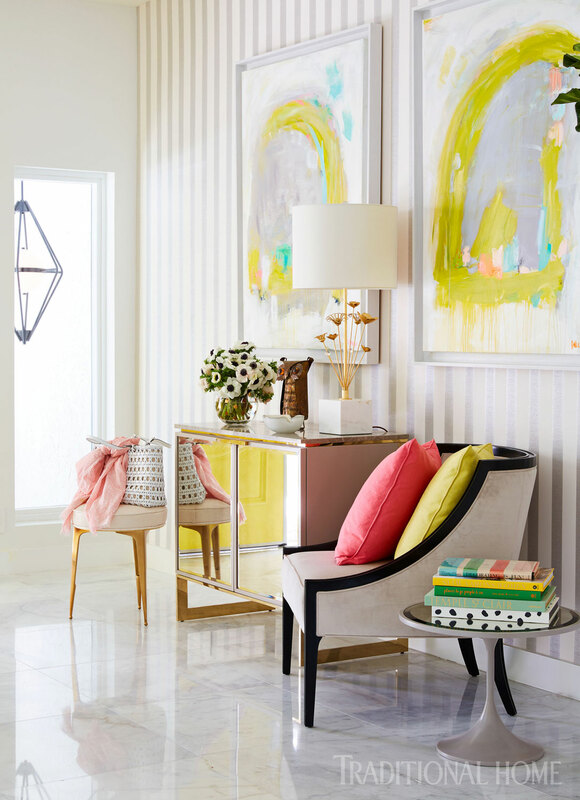 From the cheerful entry anchored by a modern chess dressed in an antique mirror finish by Kate Spade New York to colorful and luxurious custom furnishings throughout, this home is a breath of fresh air. 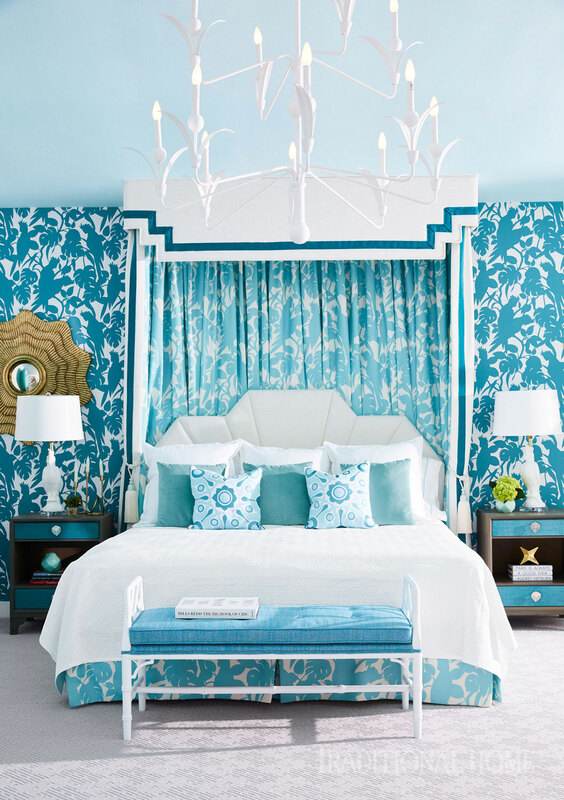 Living on the bright side will come naturally in this glamorous home. Each room is open to natural light and open layouts. 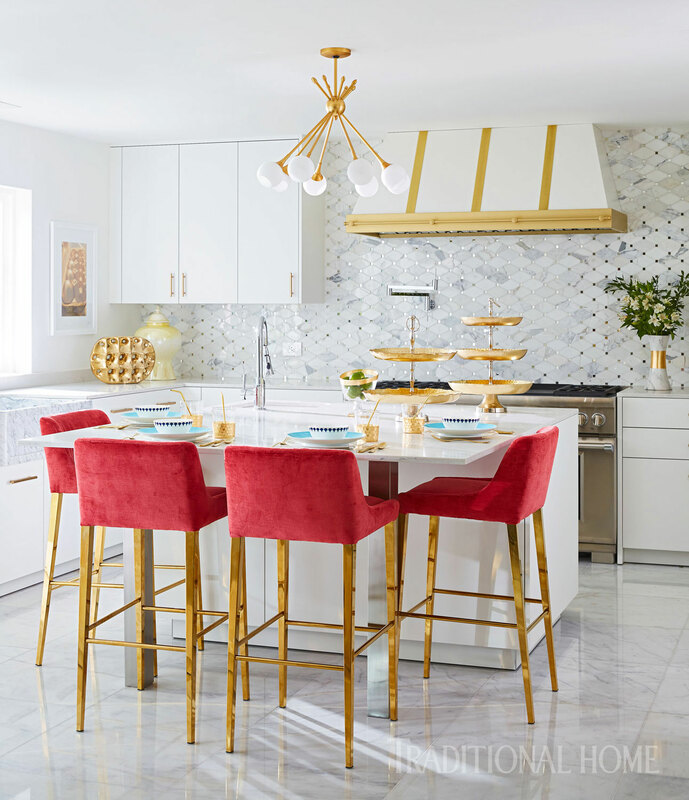 The kitchen showcases an elegant tile backsplash by Tilebar, a custom gold accented hood and hardware. 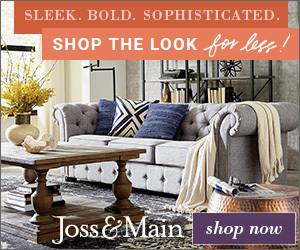 The striking bar stools with polished gold tone legs add the finishing touch like a great piece of jewelry completes the look of a great outfit. 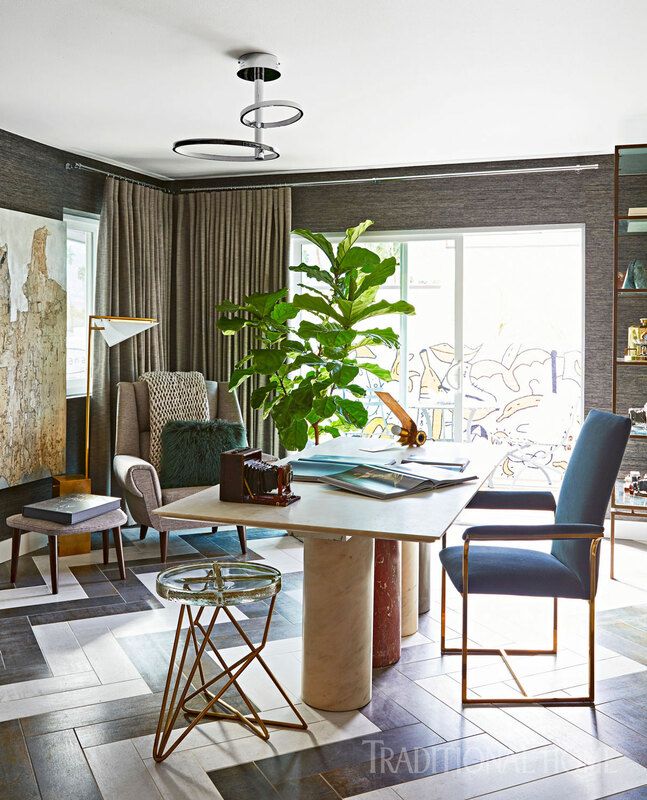 Creative and unique design elements found in the home office offer a contrasting chevron tile pattern, custom wallcovering and a contemporary lighting fixture. 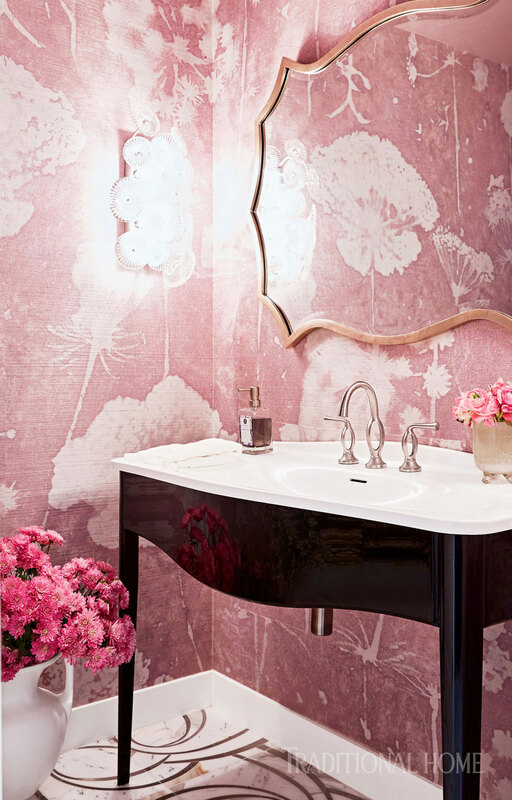 Powder Room | Keith Fortner, Christopher Kennedy, Inc. 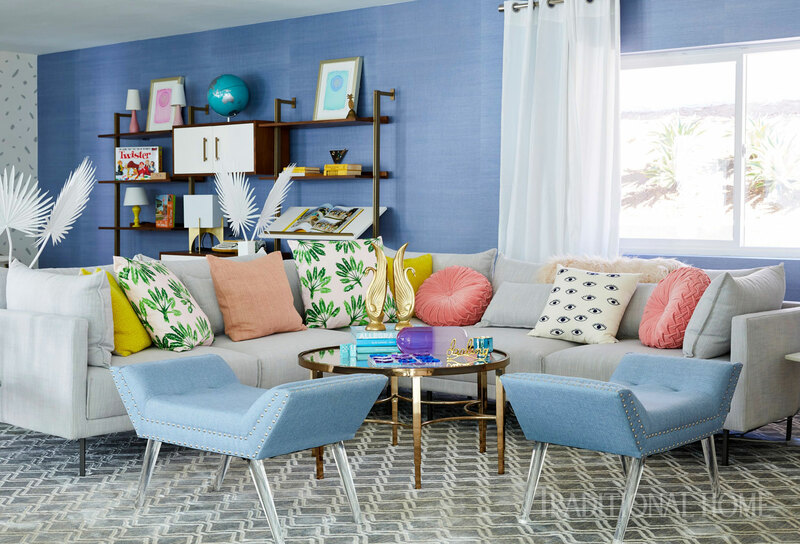 Please continue the showhouse photo gallery by visiting the Modernism Showhouse at Traditional Home for more design inspiration and product sources available for your home!